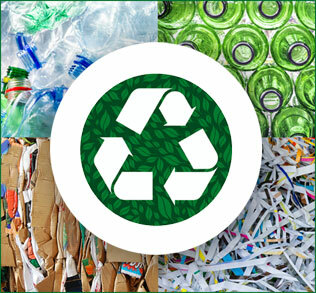 There is no question that recycling is environmentally beneficial. Unfortunately, without proper attention, it can create operational challenges and sometimes cost money. Today many recycling companies typically grab the high-value commodities to boost their own returns. The rest of your waste goes to the landfill, and you’re probably paying hauling fees for all of it, including the high-value content. We are proud to support our clients green efforts as they strive to purchase recyclable products, use clean energy, and generate zero waste. For businesses, local governments, and nonprofits interested in joining the U.S. Environmental Protection Agency’s WasteWise Program, Integrity Recycling and Waste Solutions can help you develop the requisite sustainable waste-reduction program and measure your results. Learn more about the EPA WasteWise Program from the Environmental Protection Agency. Are you ready get more from your waste solutions and recycling company? Call us today to find out how we can help!